Cream butter with a spoon and add sugar gradually, beating thoroughly. Add grated lemon rind and juice and then the well beaten egg yolks. Stir in stiffly beaten egg whites and add sufficient flour that the dough may be kneaded. Roll thin and cut into hearts. 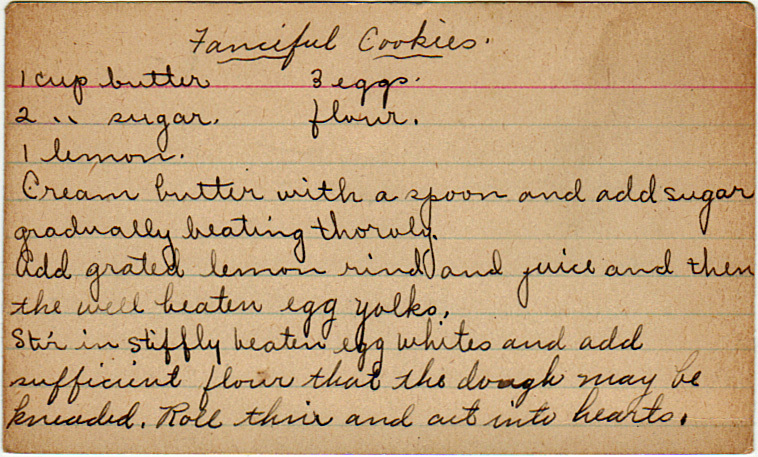 I would like the full recipe for fanciful cookies.